University staff can now get quick free access to Times Higher Education in just a few easy steps. Set up your account using your university email address, and enjoy unlimited online access to the magazine via the Library. 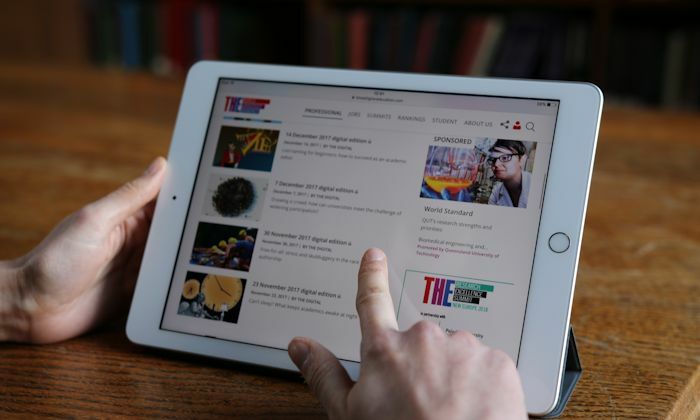 Once registered, you’ll be able to read online articles and digital editions, as well as download the app to your devices to get Times Higher Education wherever you are. To find out how to register your account visit www.manchester.ac.uk/library/times-higher-education.